*SummerQueen* is worked in one piece from the upper long side (neckline) downward. 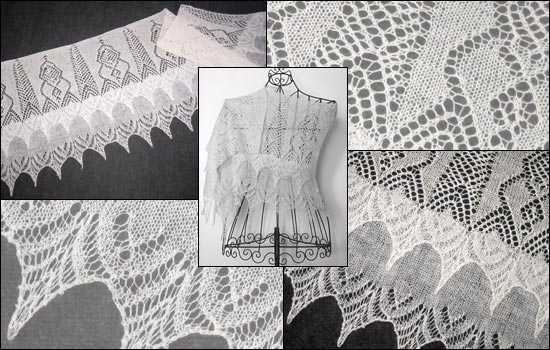 The ornamental pattern of the upper part is worked with cobweb yarn held double. The lower part of the stole consists of two overlapping lacy edgings worked with single thread.